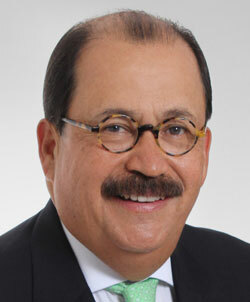 Enrique J. Arellano is the founder and senior partner of Enrique Arellano Rincon Abogados S.C. He has specialized in Mexican corporate immigration law since 1976. The firm's main offices are located in Mexico City, with regional offices in Monterrey, Guadalajara and Puebla. The firm is committed to delivering high-quality, professional immigration services to a wide variety of multinational companies. Mr Arellano is an immigration consultant for over 350 multinational corporations and he speaks frequently at national and international immigration conferences. Mr Arellano served as a member of the Immigration Commission for the National Development Plan, during the term of Mexican President Ernesto Zedillo Ponce de Leon. He has been selected as one of the top 15 most highly regarded individuals internationally in the corporate immigration field by The International Who’s Who of Corporate Immigration Lawyers. Mr Arellano has published many articles and has contributed to several global publications on the subject of Mexican immigration law and issues.